Let the People of the Gospel judge by that which Allah had revealed therein. Whoever judges not by that which Allah has revealed; such are the corrupt. Here the Ahl al-Injil ["People of the Gospel"] are addressed directly, given a command right in the text: "judge by that which Allah had revealed therein." Therein, in the Arabic, refers to the gospel. There is no other antecedent. We are to judge by what Allah has revealed in the gospel. Now, let us think very carefully here. First, what are we to judge? Again, either judge among ourselves in light of the Scripture God has given us, or judge Muhammad's claims as God's final messenger. Both are possible, contextually. Third, these words had to have some kind of meaning to the original addressees. That is, Christians in Muhammad's time- who would hear these words recited to them by Muhammad himself or by the other Muslim faithful- had to have a way of obeying this text's command. That means "the gospel" had to exist in the days of Muhammad. If it was corrupted and lost before the seventh century, how could the People of the (already lost) Gospel judge by what Allah had revealed (but then had let disappear)? It makes no sense to command Christians to judge by a lost or corrupted document. So the Qur'an's author believed the gospel was still in Christian possession. And that has tremendous meaning for one simple reason. We know beyond question what the gospel looked like in AD 632. We know because we have entire copies of the New Testament that long predate Muhammad. Whole codices are extant that were written in the early fourth century, and we have fragments of much of the New Testament going back as far as the early second century. We know what the "People" would have had as "the Gospel." And the Qur'an commands the people of Muhammad's day (and we would expect, by extension, to this day) to judge by that standard. That standard is exactly what we possess today as the New Testament. That was the gospel then; that is the gospel now. Each canonical gospel we read today we can document to have existed in that very form three centuries before Muhammad's ministry. 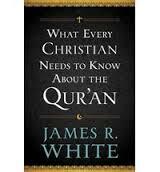 A Christian judging Muhammad's claims by the New Testament and finding that he was ignorant of the teachings of the apostles, ignorant of the cross, the resurrection, and the divine nature of the incarnate Son of God, and ignorant of the intention and meaning of the gospel itself, is simply doing what the Qur'an commands us to do.